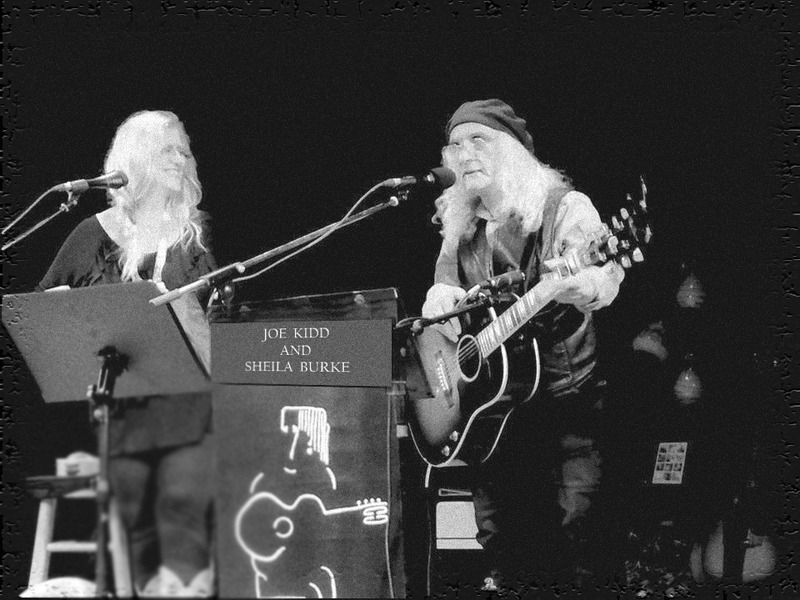 Joe Kidd and Sheila Burke are a contemporary folk-rock duo that features stellar harmonies matched with skilled songwriting and heartfelt themes. In the five-plus years they’ve been together they’ve performed all around the United States, Mexico, and Canada spreading a message of peace, love and harmony. 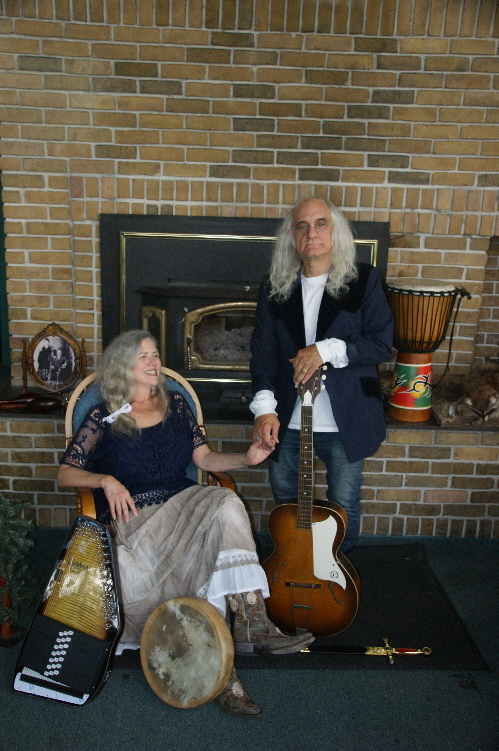 Fans of classic acoustic and folk artists like Peter, Paul & Mary, Judy Collins, Joan Baez, Bob Dylan, Leonard Cohen, Arlo Guthrie, and others will certainly appreciate this duo. But their music has a timeless and limitless quality that is sure to satisfy any age or era. The title track “Everybody Has a Purpose” lays the foundation for their music, with a message of being an individual and finding one’s place in the world. Echoes of Jessie Colin Young, Bob Dylan, and Joni Mitchell certainly come to mind. Another strong song represented here is Burke’s ode to a serviceman “Veteran’s Song (My Brother).” She has the voice of an angel and her depiction of a soldier who seems to be dealing with PTSD is powerful. “Shadow At the End of the Road” stands out as well for its haunting melody and mood. It has a Byrds meets Buffalo Springfield kind of feel matched with marvelous vocals and a contemplative resonance. The struggles of the working man are reflected in the Pete Seeger-like “Grandpa Was a Coal Miner.” Tunes like that and, basically, all their material is directed toward the common man, woman, and human experience. 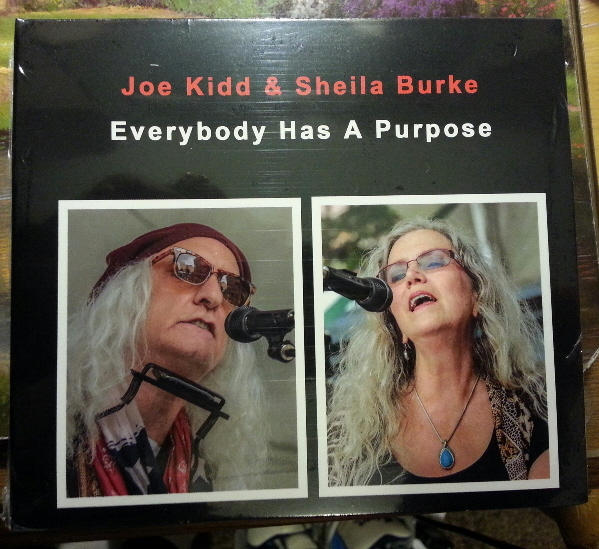 There is a primary element to Joe Kidd and Sheila Burke’s music that is, at once, relatable and down to earth, yet spiritual and transcendent. The songs “Will Do” and “They Call it Romantic” are all that and are lighthearted and fun too. Keep an eye out for this duo on the concert circuit as they keep a steady performance schedule throughout the year. Check their website for a list of upcoming performances, beginning with a Saturday, December 1st Rock For Tots benefit show at Freddy’s Bar & Grill in Clinton Township, MI. 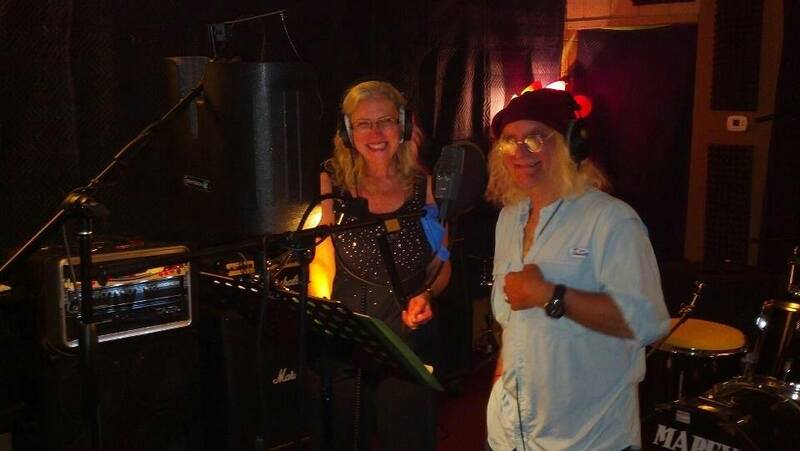 This entry was posted in Album Reviews and tagged Album Review, Eric Harabadian, Joe Kidd and Sheila Burke. Bookmark the permalink.